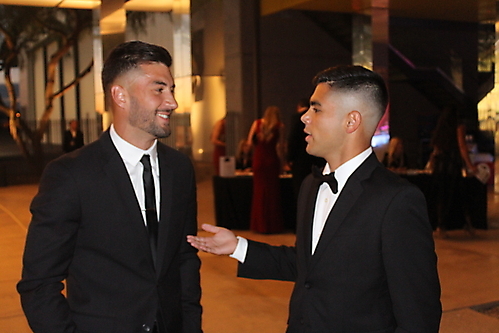 Over 250 people attended Phoenix Rising FC Charities 1st Annual Charity Soccer Ball at Scottsdale Hangar One on Fri. Oct. 12, 2018. Proceeds from the sold-out event will benefit Phoenix Rising FC Youth Soccer, a nonprofit dedicated to preventing financial disparities from limiting opportunities for deserving kids to participate in youth soccer programs. The event honored the distinguished playing career and final season of Didier Drogba and consisted of a cocktail reception, photo session with Didier, silent and live auctions, dinner, dancing and live entertainment by DJ Walshy Fire of Major Lazer. In attendance were celebrities such as co-owner, DJ and producer, Diplo; as well as the ownership group, players, supporters and fans.